Cosmic Creek and a free concert by Donavon Frankenreiter. Only in Dana Point! Posted by Teresa Mihelic HelpDesk on Tuesday, August 28th, 2012 at 12:57pm. Dana Point has a rather busy weekend this Sept 8 and 9. We have been blogging about the Doheny Days Music Festival happening that weekend, but there's also the Tall Ships Festival with lots of family activities around the Ocean Institute. And to top it all: how about a surf competition with a free concert ( in case you can't make it to Doheny Days) with Donavon Frankenreiter on beautiful Salt Creek Beach Park? For the music and surf lovers, I can't think of anything better than relaxing, maybe grab a glass of wine at the Ritz and then head for an afternoon of music on a grassy hill, watching the sunset and listening Donavon Frankenreiter after a day of surfing! The Billabong Cosmic Creek Surf Contest is coming up on Sept. 8 and 9 for a weekend of laid-back surfing, festivities for the family, and a free concert by one of the most recognizable surf musicians of our time. The event – presented by Subaru – is now in its 13th year, and is usually held in late October – but organizers pushed the weekend up this year to early September. As always, the contest suits back to more alternative and inventive times and embraces the surfboards and styles of the 1970’s & 80's. Cosmic is a salute to an era where single-fins and tweenies reigned supreme and the best surfers in the world proudly sported shorts with two-inch inseams. 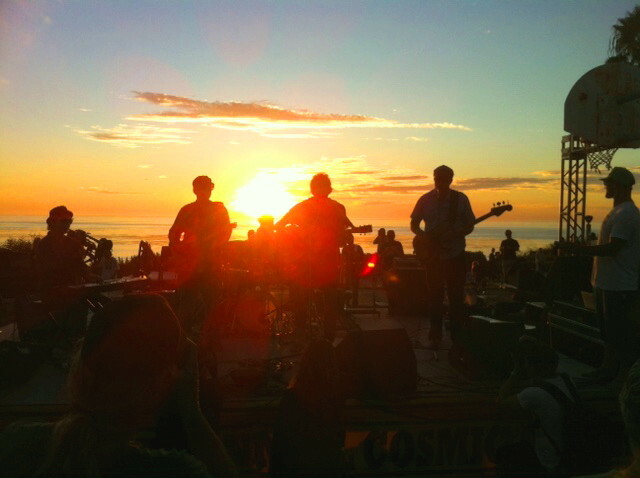 Last years concert was one of those afternoons where you couldn't help but be thankful for where we live, and a reminder of what the surf community stands for – good vibes, bringing people together, all enjoying life. Are you ready to start looking for real estate in Dana Point? What about the homes in Monarch Beach, where Salt Creek Beach is located? Set in the natural amphitheater that is Salt Creek Park and running from 4PM to dusk, the setting encourages attendees to bring blankets and lawn chairs to enjoy Donavon’s soulful tunes while the sun sets over the ocean. Come and enjoy!